Amazon Web Services is a secure cloud services platform that provides superior computing power, seamless database storage, instant content delivery, and other supportive functionalities that help new business ventures or growing business organizations scale their operations. Companies that introduce AWS to their business activities can harness IT in a way that not only helps save costs but also offers new services. They also get to better understand their customers. Other business benefits of AWS include improved productivity and effective management of peak workloads. i2k2 Networks is an AWS advanced consulting partner providing a range of cloud solutions and excellent technical support. If you are wondering how Amazon Web Services can help you scale your business, read this post to learn about the business benefits of AWS. Businesses face the issue of uncertainty regarding customer reactions and feedback when developing new applications. Developers are also unclear about the adoption rates of the applications. Both reasons result in difficulty choosing server capacity to support your application. Amazon Web Services enables you to scale and modify your server usage, depending on the needs of your testing/application development. Growing businesses need a data application to manage and support big data blocks that come from various sources and in different formats. 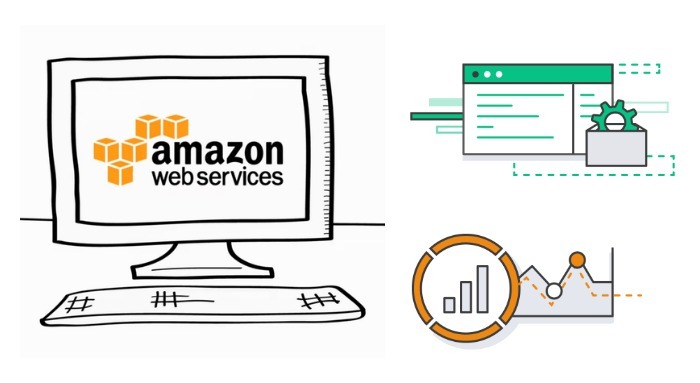 AWS offers serverless computing, data warehousing, fraud detection, clickstream analytics, recommendation engines, and internet-of-things processing services that allow you to scale any big data application within minutes. Widely used apps such as Netflix make use of AWS to deploy thousands of servers and terabytes of storage within minutes. As your business scales, you may find it difficult to reach customers on a more global level. AWS comes with an efficient global infrastructure that extends across more than eight global regions. Each zone has a series of availability where your business can launch Elastic Compute Cloud instances. This elaborate feature allows you to provide excellent customer service with minimum latency. Amazon Web Services help you maximize your online presence through easy website development with its Elastic Beanstalk tool. The tool helps you create new websites with ease after selecting a name and platform for app’s environment. AWS lets you name and register a domain for the website and also supports any web traffic the site receives. i2k2 Networks provides innovative AWS methodologies to help you design, build, and implement cloud solutions. This way, you can reduce your IT costs and easily streamline your business operations to maximize profits. To learn more about Amazon Web Services in India, fill out our contact form, and one of our representatives will get back to you, shortly. For more info, call us at +91-120-466 3031.